Free Town Church, presently known as Mt. Vernon African Methodist Episcopal Church. This historic structure is located 1.9 miles N of Route 792 on Route 100 in the Gamaliel Quad. It was erected in 1848 by George Pipkin, Albert Howard, and Peter West on land donated by Albert Martin. It was used as a public school and church, serving the black community of Freetown for 70 years. It was the first black church in Monroe County. It is a one-room, single-story structure. The builders of this church were former slaves of William Howard. Some services are still held here by the congregation on special occasions. 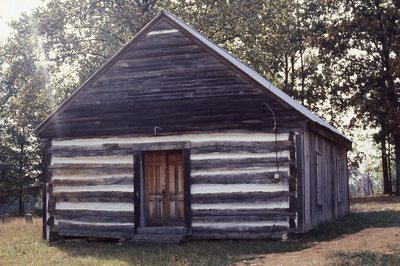 This structure is listed on the National Register of Historic Places for Monroe County.